First thing to catch my attention was the cross body bag I designed-it went without a hitch for the most part. I lost my head a few times but no major detours! 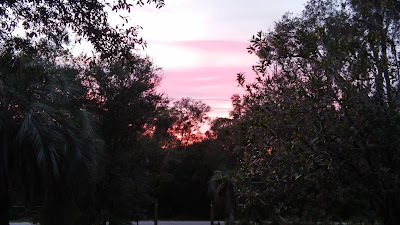 This is the last of the flamingo fat quarter; I sure got my miles out of it! 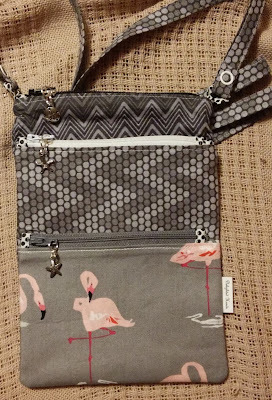 The back also gets a pocket now and I added my little label! Very cool, if I do say so myself! 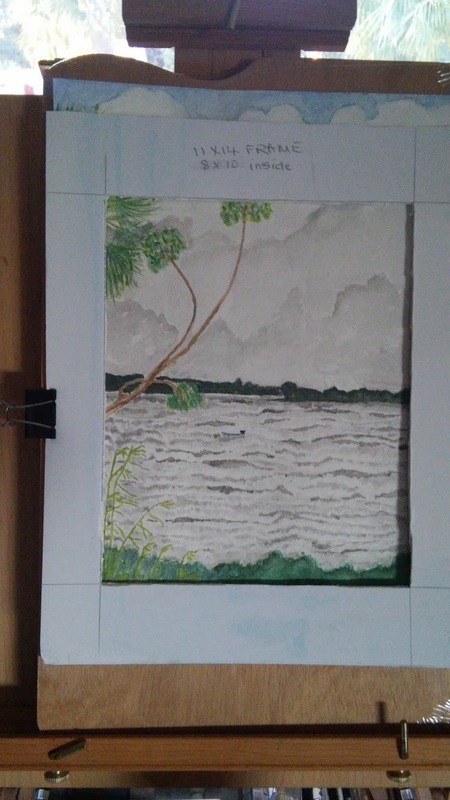 Next, I finished my latest homework for my art class. 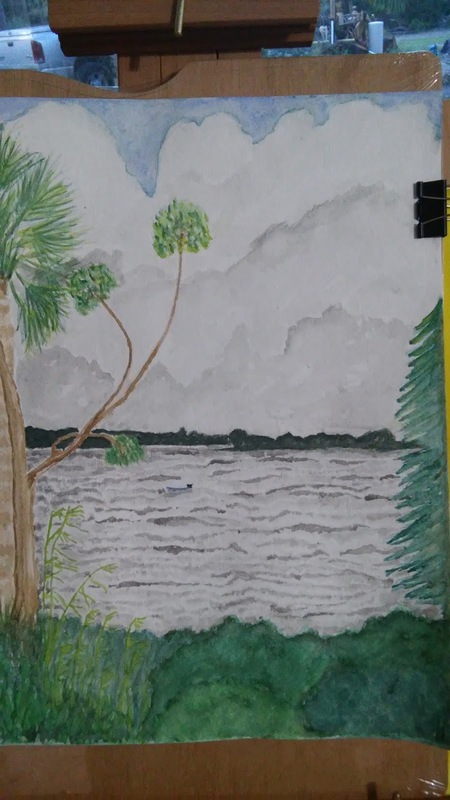 This is a peek at Crescent Lake which we had to draw and paint. 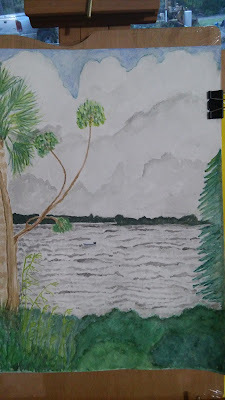 I labored long and hard with the sky and water and loved what I could do. But I have learned a fatal lesson for this picture-when you mat it, you lose 2" around and I didn't factor that in.....you see how I lose my sky-my little bit of blue is cut out when I put the practice mat against the picture?! So I will wait and turn it in next Saturday and figure it out with the teacher. 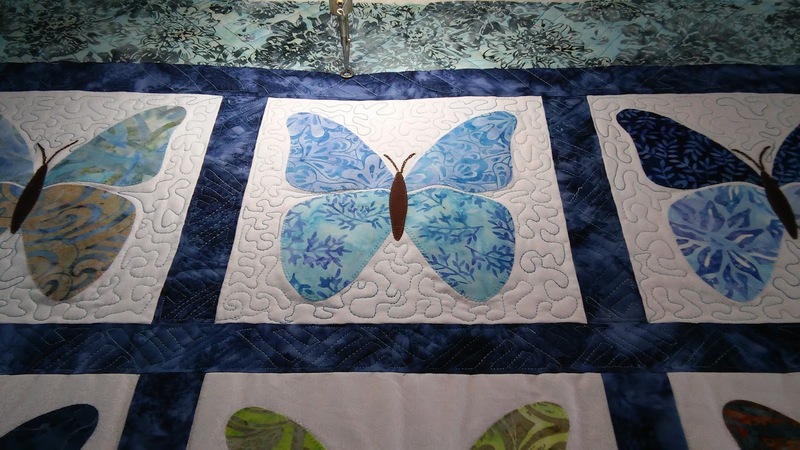 On to other more successful endeavors-I put the binding on the butterfly quilt and through it into the washer. I am enjoying the freedom I am experiencing at the frame. It makes it so much more pleasurable! I went right to work on the rainbow quilt and have the binding all cut and on in no time. 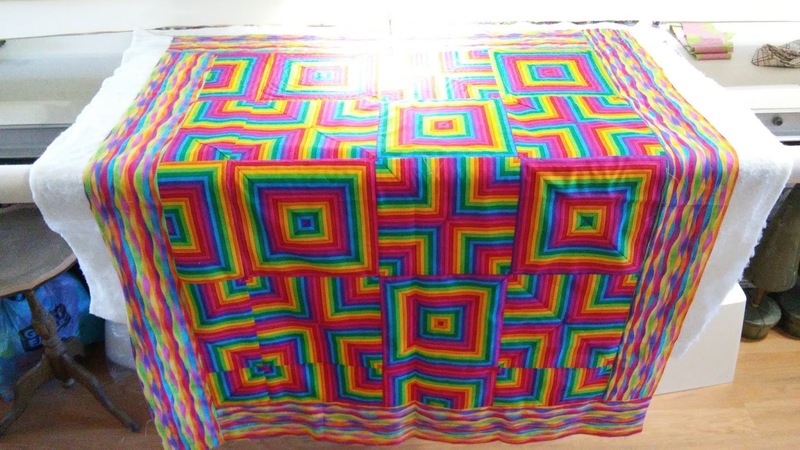 This sure gives your brain a color boost! Washed, dried and in the donation pile they go! I have started a new vest pattern. It was written up as a top down pattern. Piece of cake thought I but it instructed me to knit the back down to the armpit, then picking up the shoulder stitches on one side and knit it down the same point and then the other side. 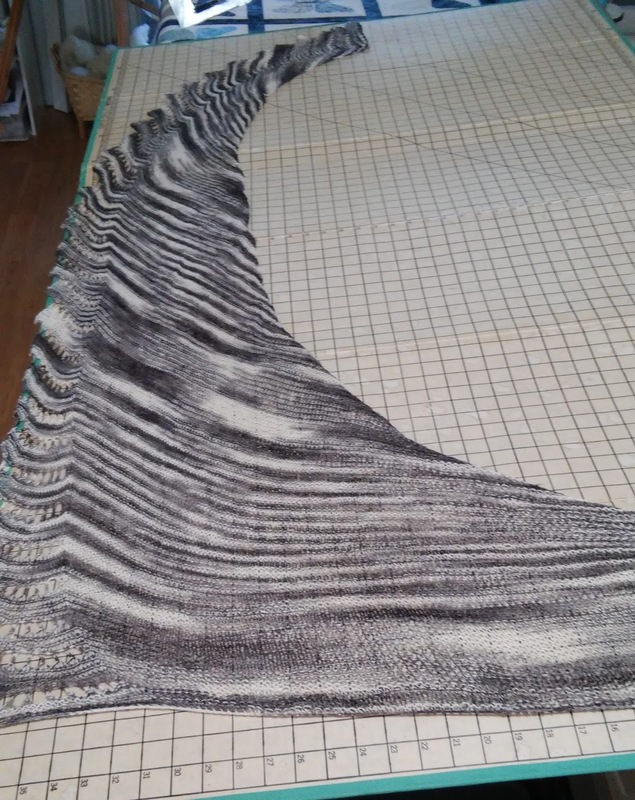 THEN the whole thing was joined and it will continue to knit down. It was a bit strange for a while but it is working fine now. 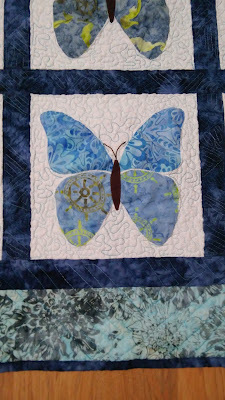 I hope to crank this out pretty quickly-I don't want this one to languish like the last one! 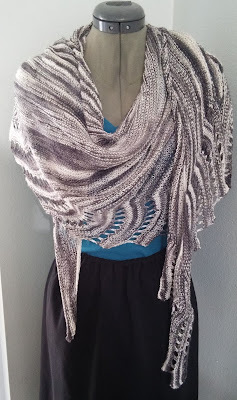 I am using my handspun Jacob wool for this. 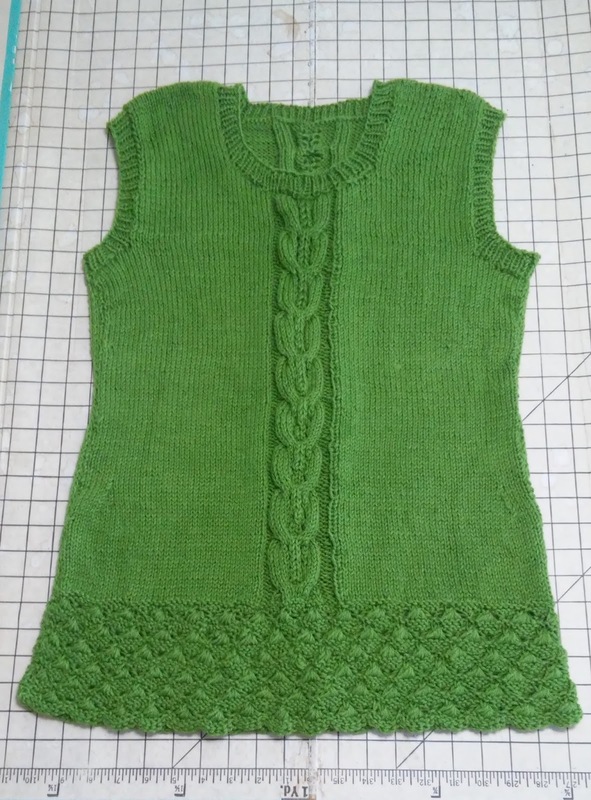 It is not as soft as the commercial yarn of the last vest but it will be fine over my t-shirts as planned. Cables down the front but no other texture so it will move along very quickly-the only other changes will be keeping count of the cable and occasional shaping for the waist. 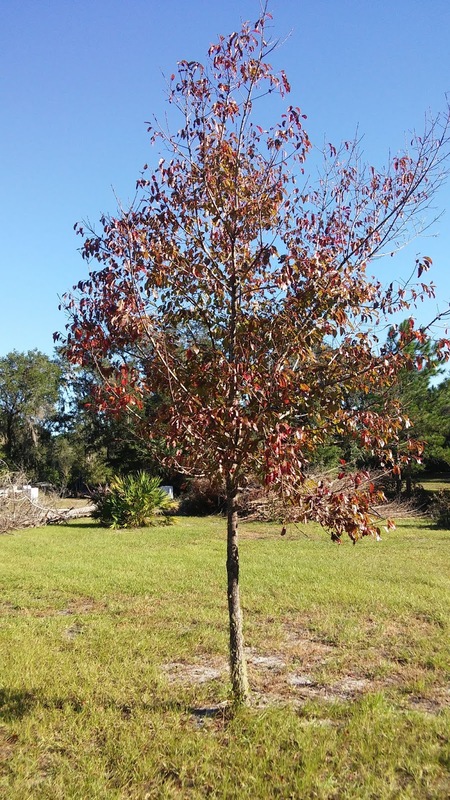 See, we have Fall all around us. 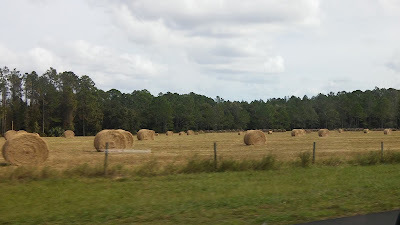 The grass changes color and the fields have another harvest of hay. 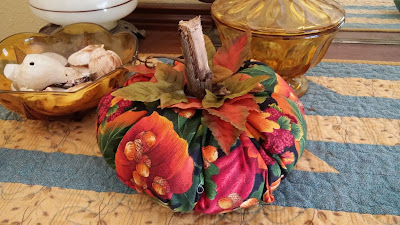 I made a fabric pumpkin. 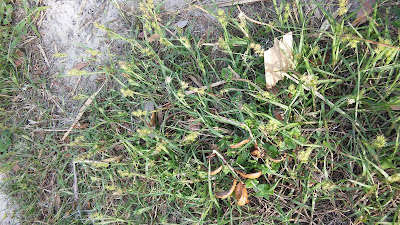 It is a nice size at about 10" across and 5" high. 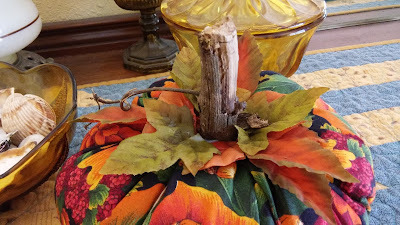 I used a real grapevine stalk to use for the stem. It was a good hunt out back to find just the right one! I used some artificial leaves to decorate the top. It was nice to make something for the season. 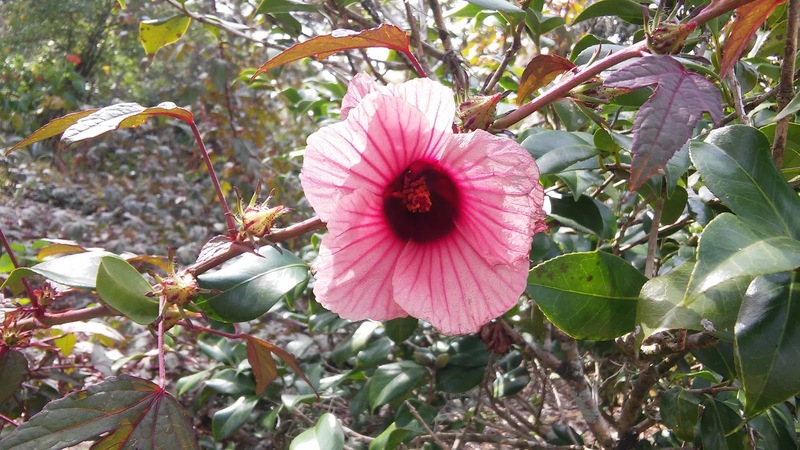 The Roselle Tea plants are covered with blooms and buds. They are in the Hibiscus family-the flower is large, about 5" across. There is no aroma but the edible flower is stunning! The leaves, buds and blooms can be picked and dried for a very aromatic tea! 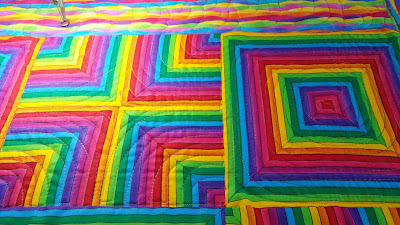 The rainbow quilt is off the frame and ready for binding. 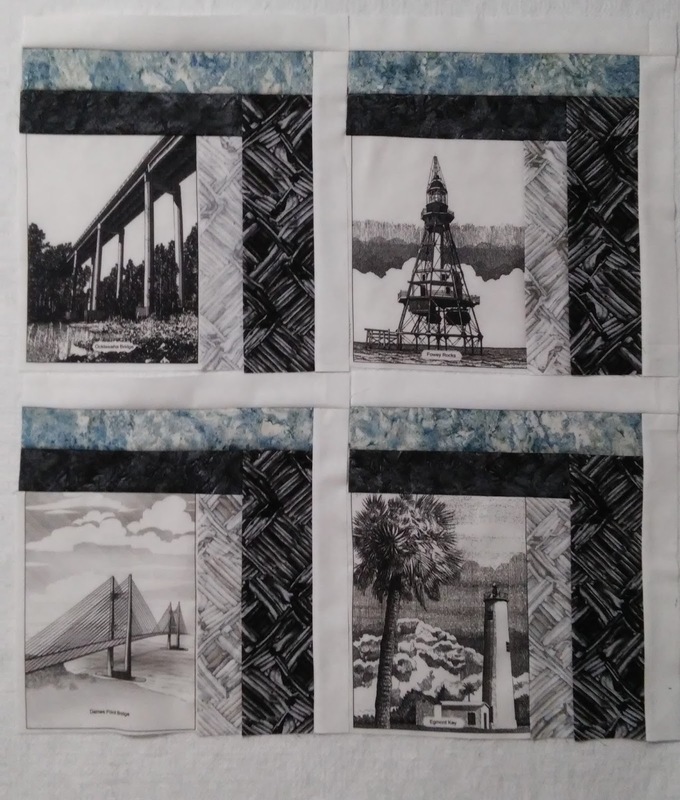 If I have a stay home day, I will get it finished! It was beautiful sunset tonight and my ph camera did little to do it justice! 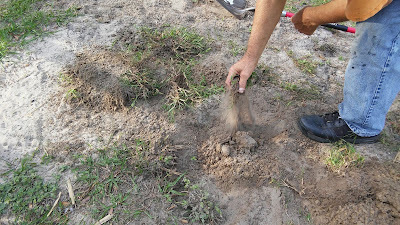 This afternoon, Bill and I dug up a Fall harvest of sand burrs. Not edible and extremely painful to come in contact with! 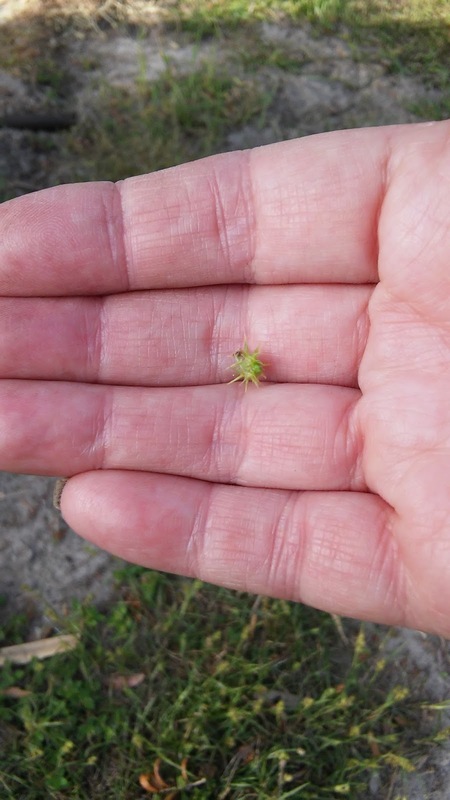 They grow to large, low plants that hide all year among your grass until the Fall when they send out their burrs and even green, they pierce your skin in a most painful way! Each of their little arms have a hook at the end that do a great job off attaching. 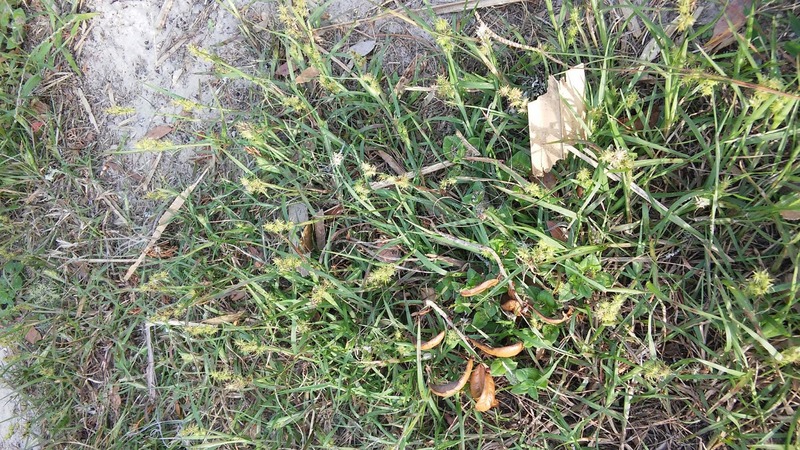 epizoochory, or sticking to animals and people, it is not so great to experience it! First you have to run a shovel under the plant to loosen the roots and then you can pull them up mostly intact. You still get regular pricks while working! 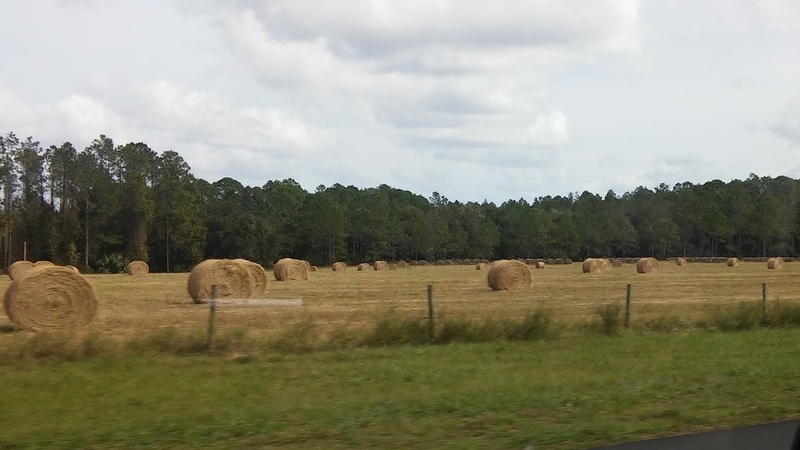 You stack up piles along the way and then pick them up and fill the tractor bucket with them. Bill dumps them on the fire pile because that is the only way to destroy these seeds! I will tell you I wore this vest all day! I dressed in Florida style; cropped pants and flip flops with a t-shirt with this over the shirt. It was comfortable all day and I can't wait to make another vest! Inspired by the 'pull out old projects' and give them triage priority status', I found this vest my Mom and I worked on last winter! 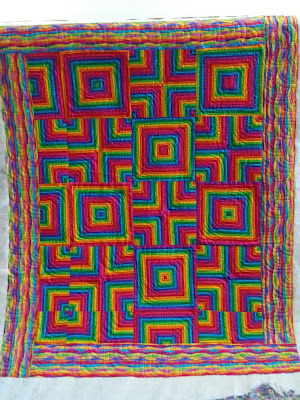 We had each knit a front or back and then I sewed them together and....put it in a basket and forgot about it! 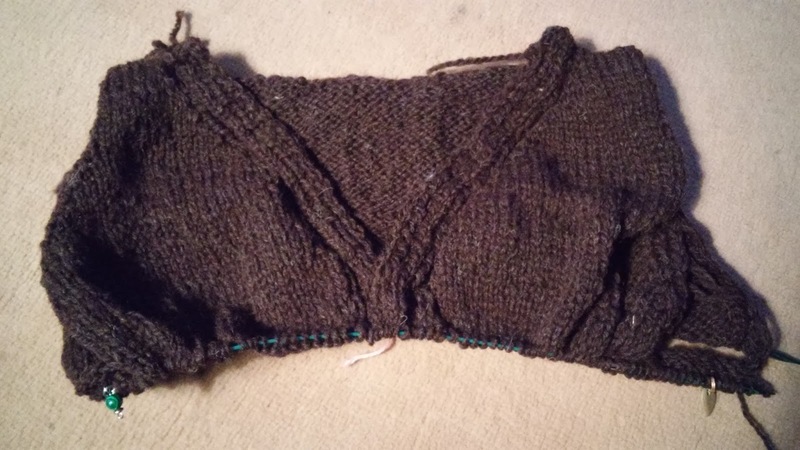 Until this weekend when I added the ribbing to the armholes and neck! 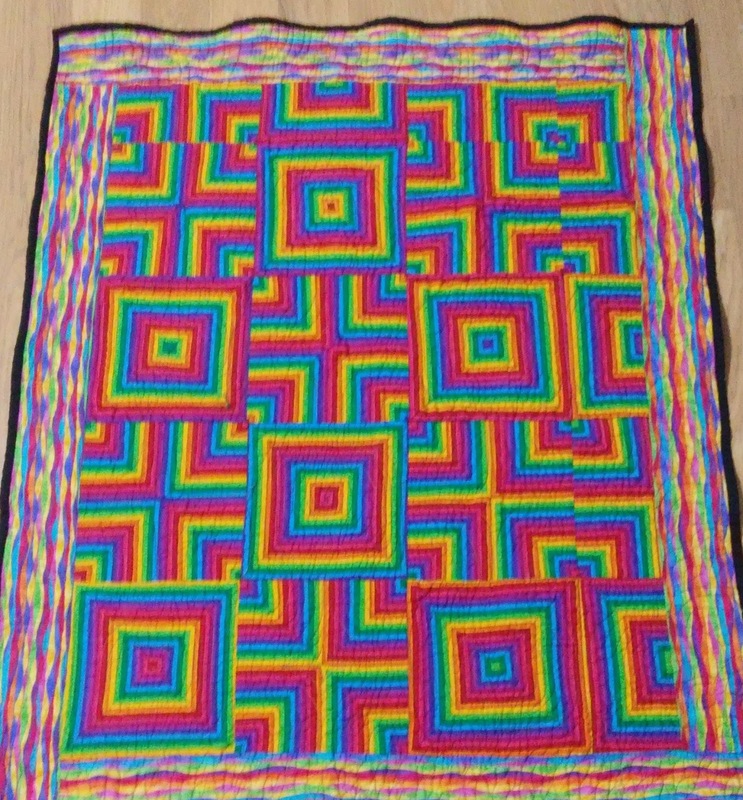 This morning I blocked it and now it looks and fits beautifully! I am glad it was resurrected from the languishing pile ! 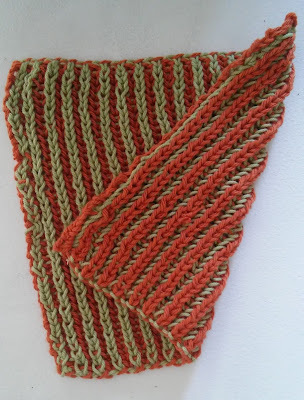 This is the yarn I used, the pattern is one from Classic Elite Yarns called Cheri. 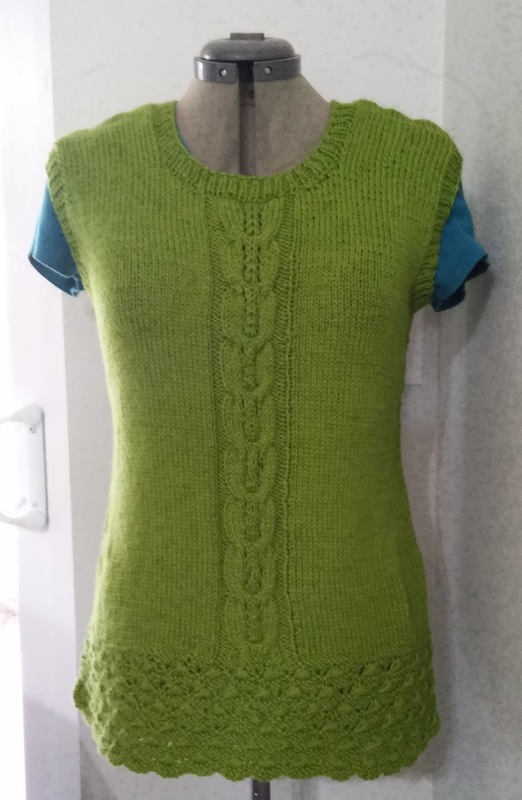 I did a lot of changes, chiefly using stockinette instead of garter for the body of the vest which the pattern calls a tank because it was supposed to be made for Summer with a nice cotton yarn! I also added ribbing instead of an I-cord edging. The changes worked and as soon as we get some cooler weather, I will be wearing it over a t-shirt! 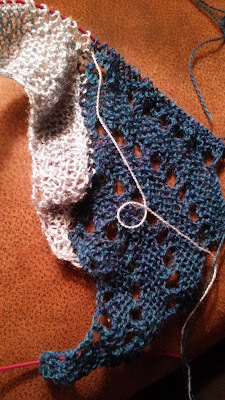 And to be sure there is something on the needles because empty is bad, I pulled two shades of blue lace yarn from the stash and cast on another Close to Me shawl! 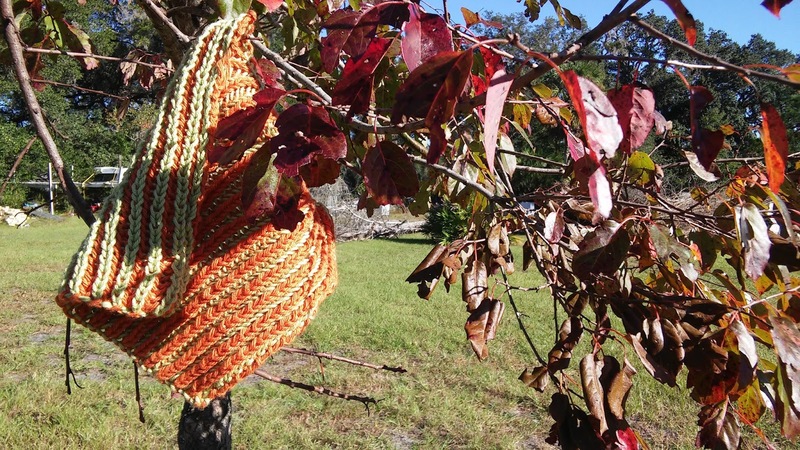 See, we have the Fall spirit in FL, too! I just felt like a Fall dishcloth and so I had a good evening knit in Brioche! 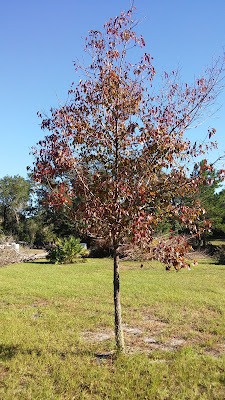 The tree is a wild cherry which produces no mentionable fruit but it does color on time and beautifully! 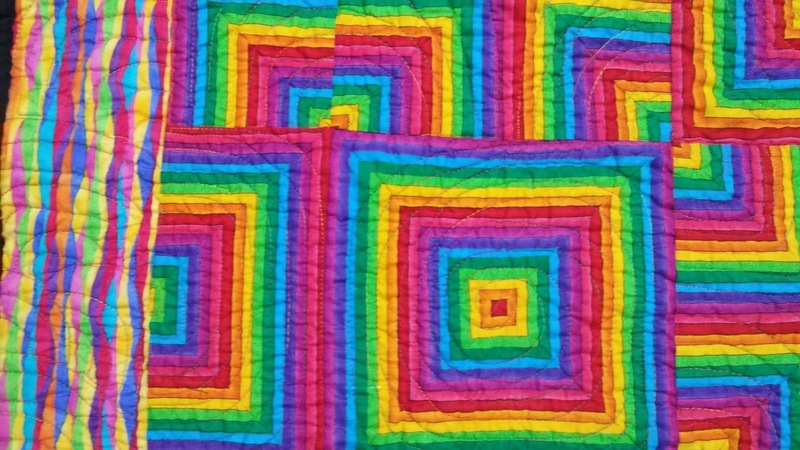 The butterfly quilt is off the frame and this rainbow experiment is on! 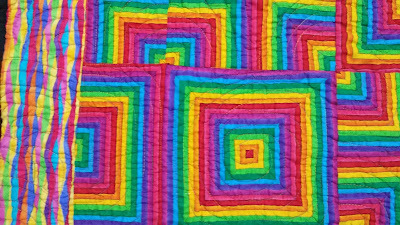 I am having fun doing all different kinds of curves on each of the blocks! 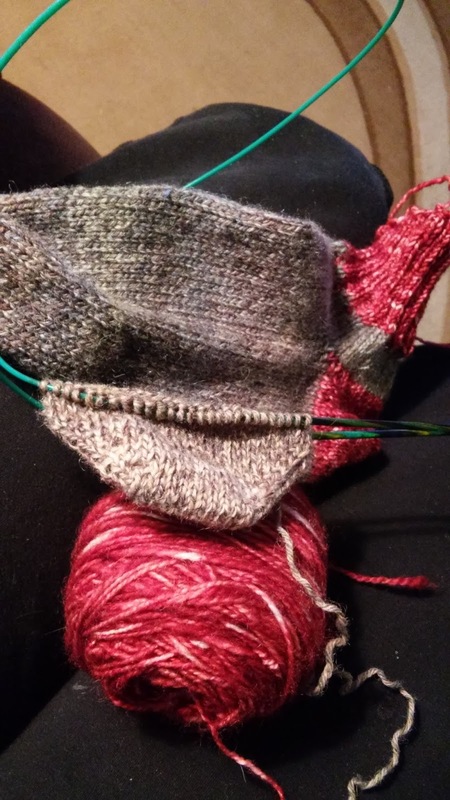 After a large knitting project like the shawl I just finished, I need to do some comfort knitting. 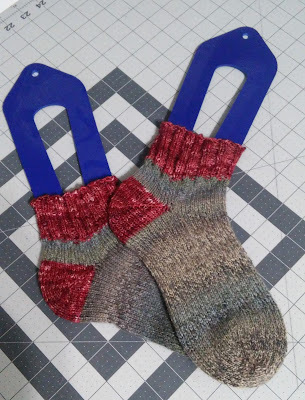 So, being inspired by several blogs lately to pull out old projects and finish them up, I pulled out these socks that were more than halfway done but then languished for some reason. These remind me of the thick socks we used to wear as kids in our winter boots; we called them pack socks cuz they were for our pack boots. But as I write this, I find that the brand was Pac Boots and so all these years I pictured the wrong word! Well who knew? I refuse to see it differently now so I am calling these Pack Socks! 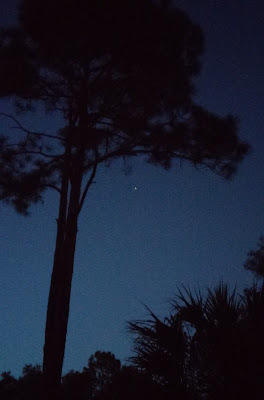 I enjoyed seeing the space station go by last night. 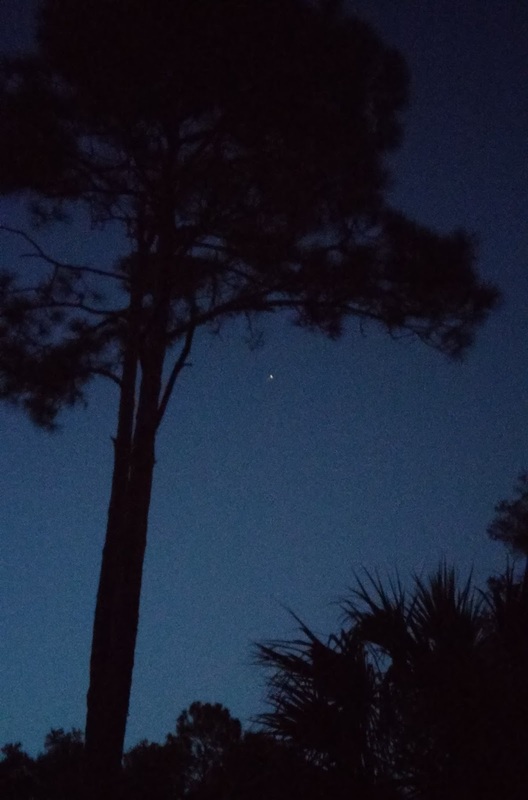 I never tire of running outside for a sighting! I think this will be an interesting photo to try and watercolor! The Medallion Quilt is off the sewing table and will soon be on the frame! 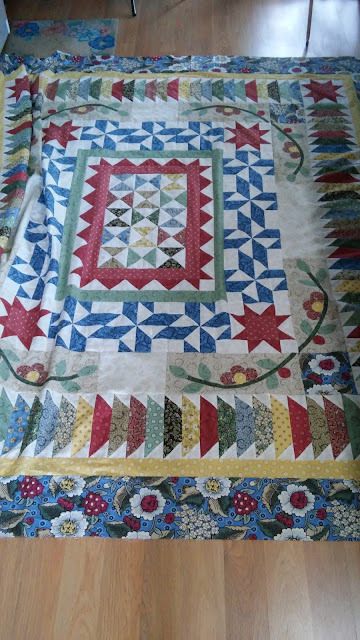 I am backed up by 5 quilts right now....what's another?! 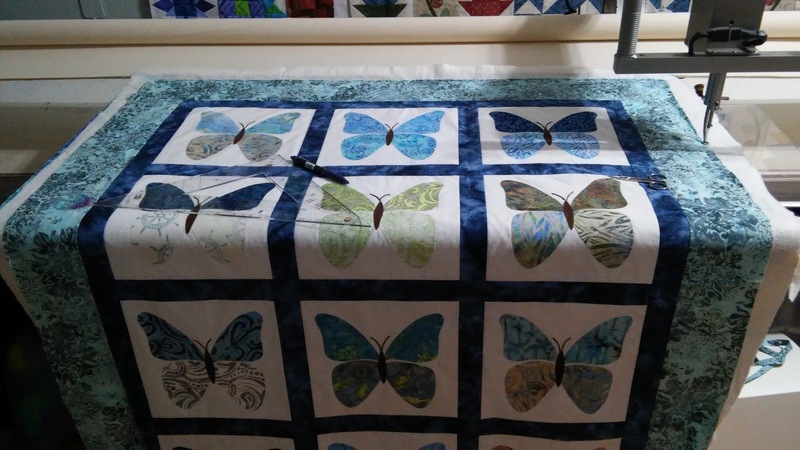 I guess I am enjoying the piecing more than the quilting right now. The standing has nothing to do with it, right?! I will have to look into one of those fancy seats for sitting while at the frame! 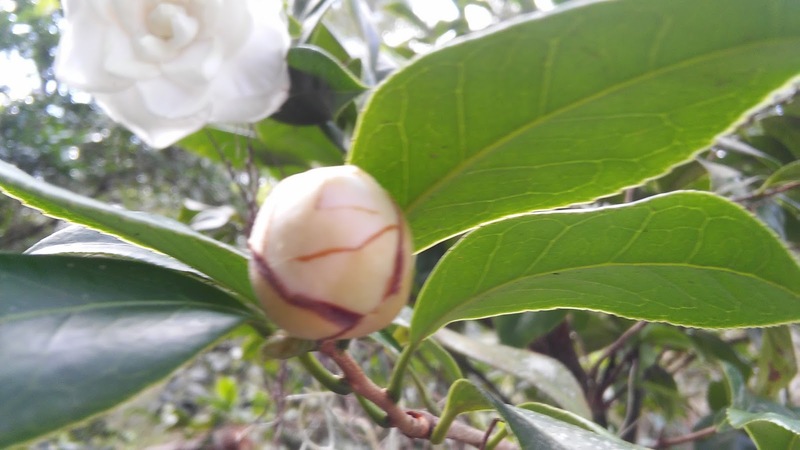 This is a record breaker.....a Camellia already blooming! With lots more of these to come! 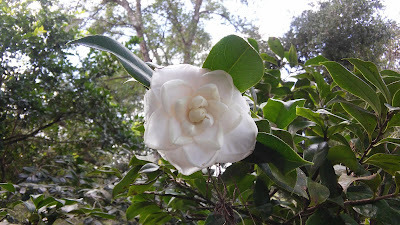 The white Camellias are always the first to bloom but not usually until November. I love how these flowers stay on the bush a l o n g time! Even longer than queue at the longarm! 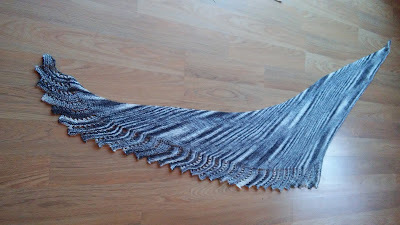 The Close to You Shawl is completed! 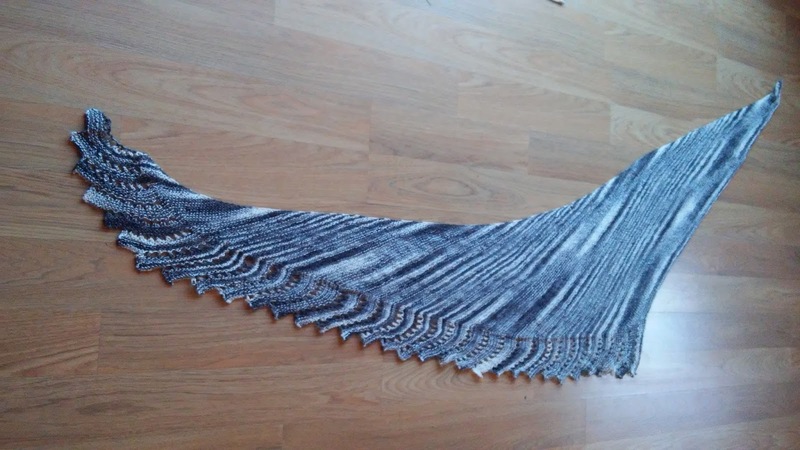 It was a 680 yard skein so I knit forever on this shawl until I got very close to the end of the yarn! 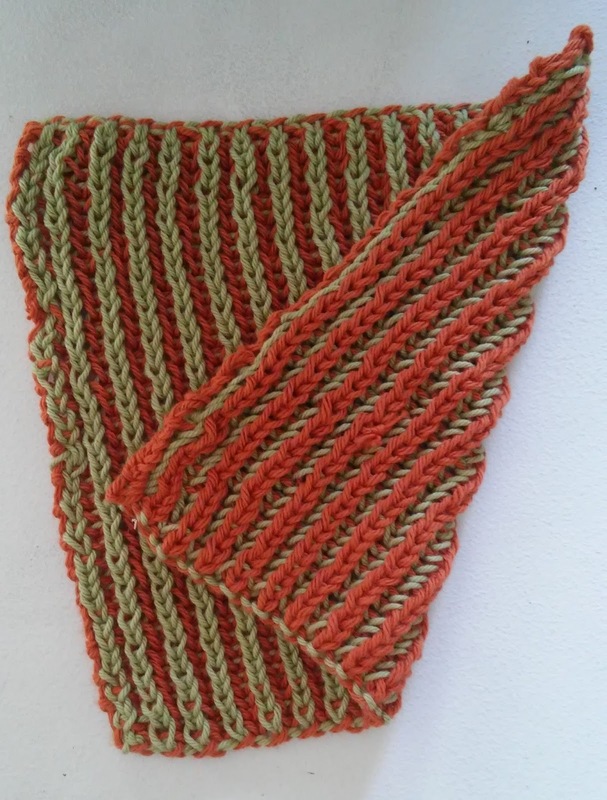 Even though the yardage is higher than most, this shawl is as light as a feather! 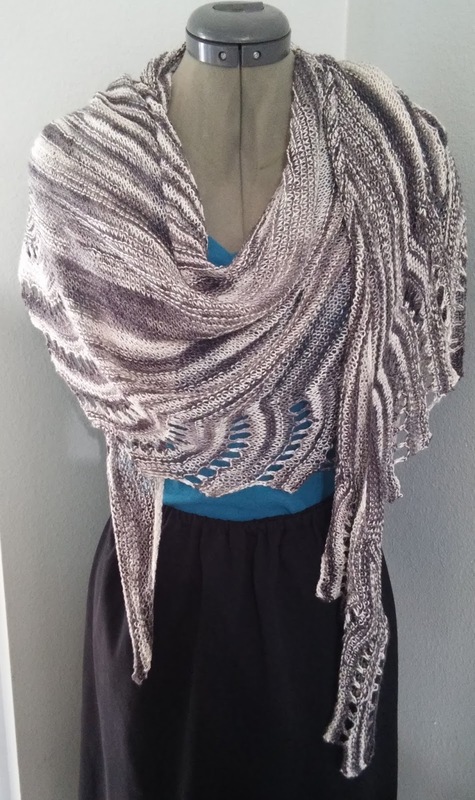 It is light and airy because it is knit on number 6 needles. 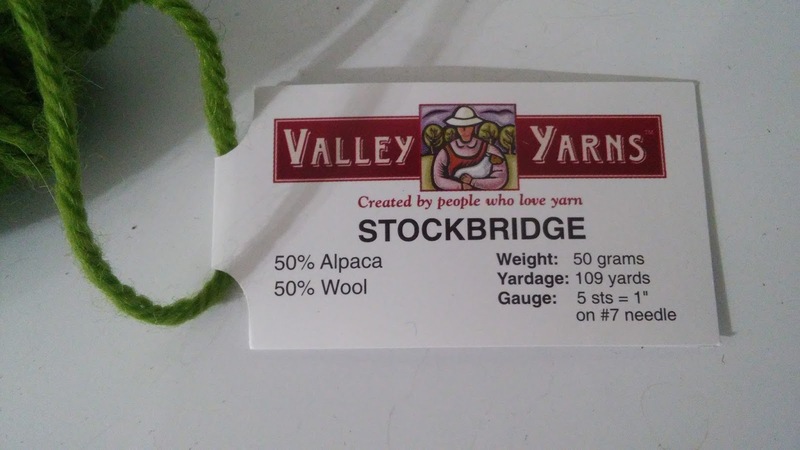 The skein is 50/50 Yak and Silk lace weight yarn from Expression Fiber Arts. 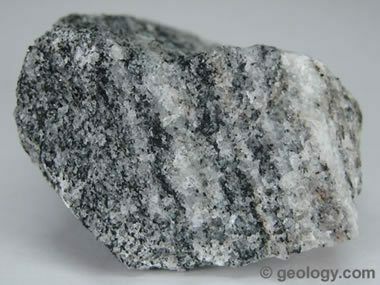 When I last posted the shawl, my daughter said it reminded her of this kind of rock called Gneiss. As usual, this shawl grew considerably when blocked. 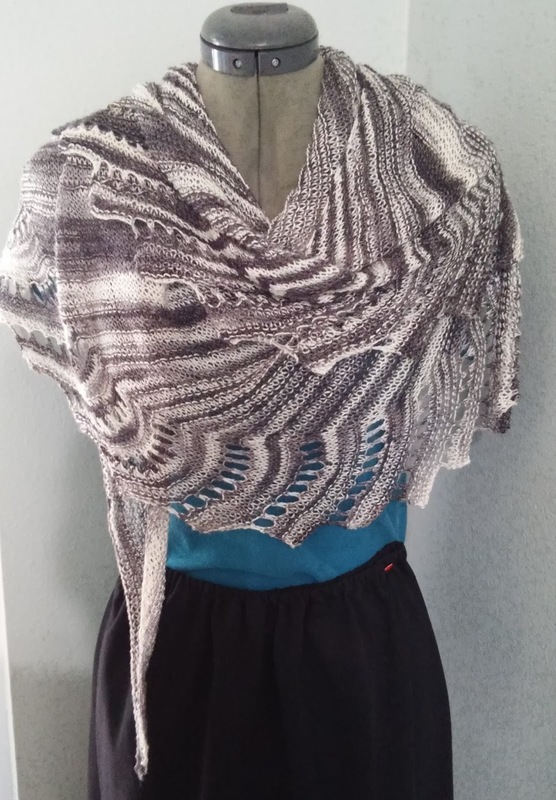 I didn't pin this one at all, just patted the shawl into place after soaking it for 30 mins and spinning it in the washer to remove most of the water. 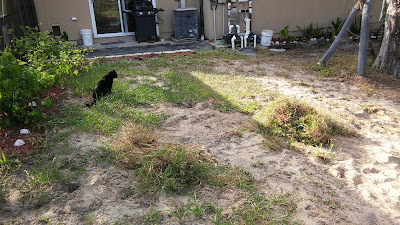 It is 38" deep on the squared edge and 84" along the top, curved edge. 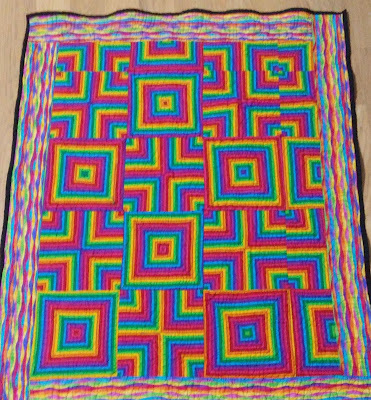 I almost didn't block it because it was in pretty good shape when I finished but I really like the airiness of it now that I blocked it! 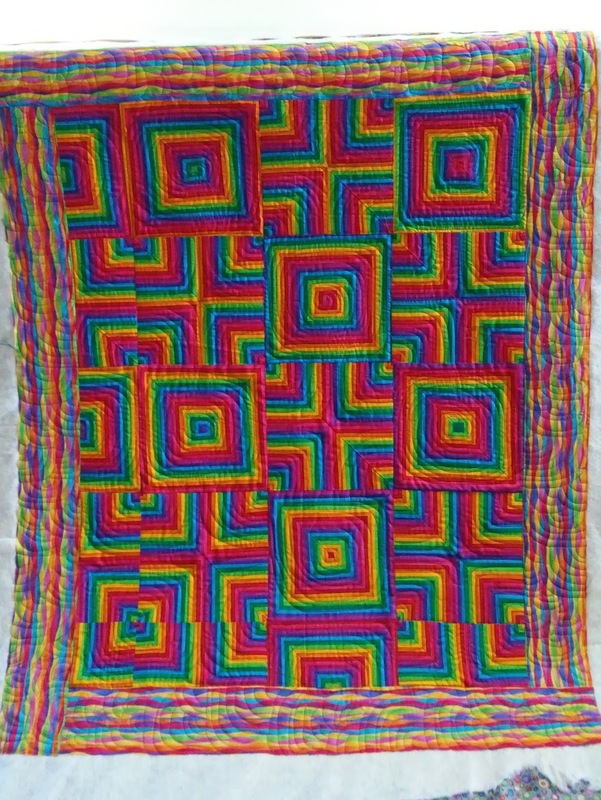 This is a pattern that will be revisited and will look different with every yarn choice! I loaded the butterfly quilt on the frame. I had everything ready to go but instead it is in a pile? I wonder why I didn't just load it right up already? 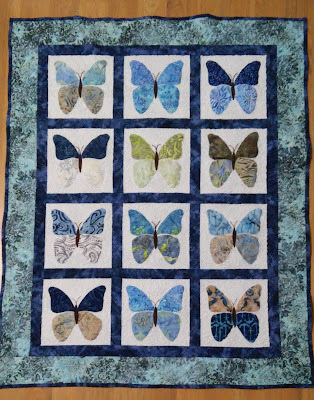 So I started right in on the angular borders but I'm going to stipple around the butterflies so they pop. So far it is going pretty well, especially since I have had several refresher courses on picking out stitches! All of a sudden, I forget which way to go! I hope by the end of the quilt, I have memorized the patterns for the borders! 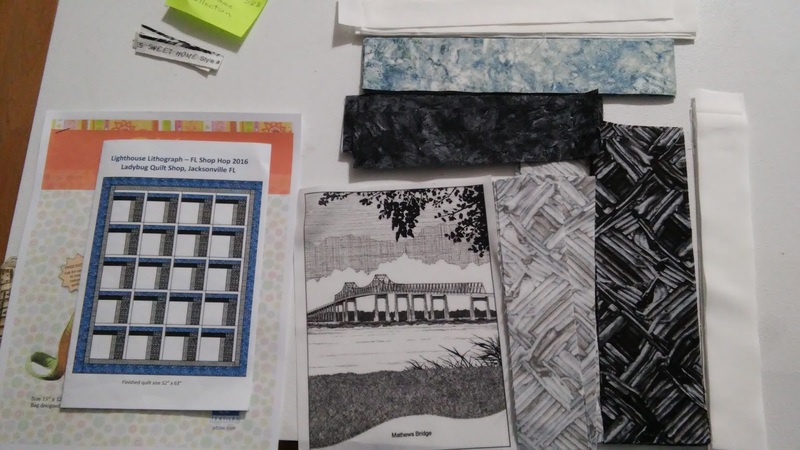 I have been adding a pattern repeat or two every day and it is adding up. I think the yarn is about half gone so I will keep knitting. The yarn may look like granite but since this is yak/silk, it is downy soft to knit with insead! 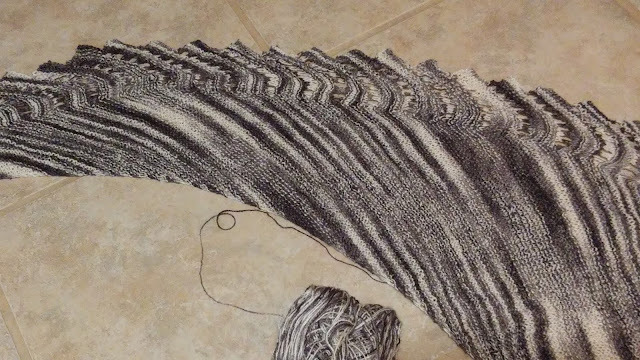 This is knit with lace weight yarn on #6 needles in garter stitch so it is slow going but every 8 rows I bind off for the lace edge so I know I am making progress!!! Bill got home from his work with the power company during the storm and he brought me this sugar cookie because he missed me! 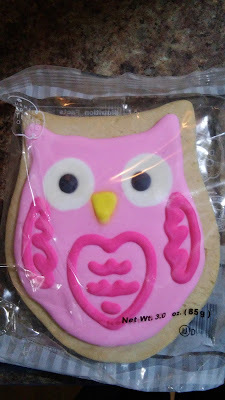 It is big-5" of cookie big and I ate the whole thing! 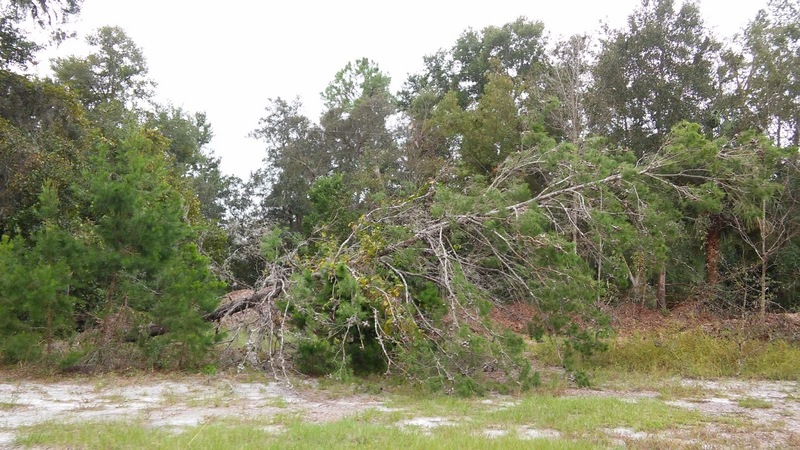 We had a good tour of the property and saw this pine tree down. 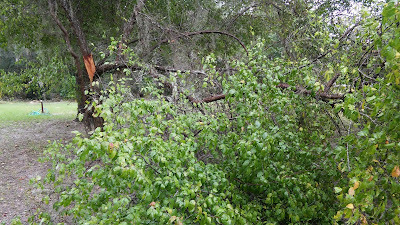 And half of the Wild Plum tree down. We will be busy with all the yard clean-up for another week at least! Inside, I decided to start the Lighthouse shop hop quilt. 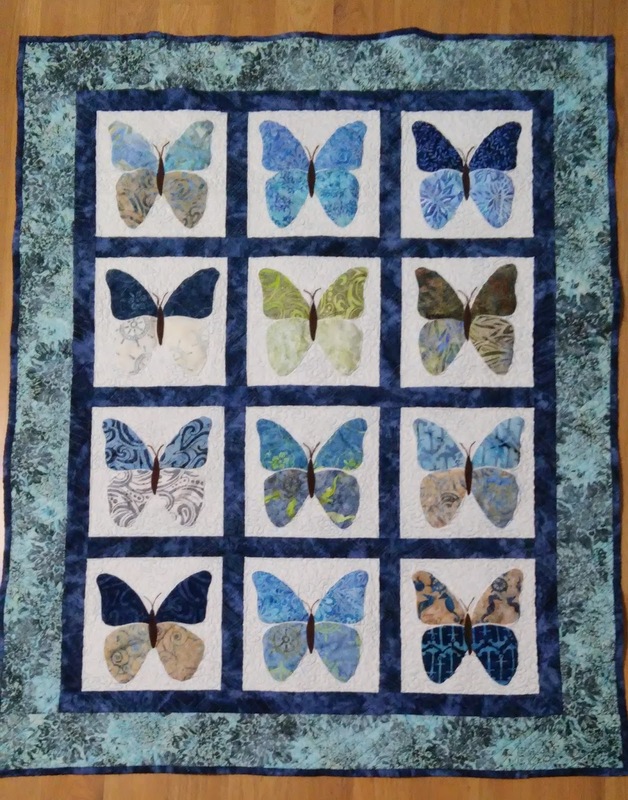 The kit I purchased had several errors and one was major; it didn't include enough of the bottom right side fabric-kind of important! 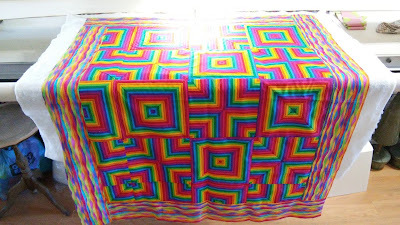 I have emailed the quilt shop but haven't heard back from them. 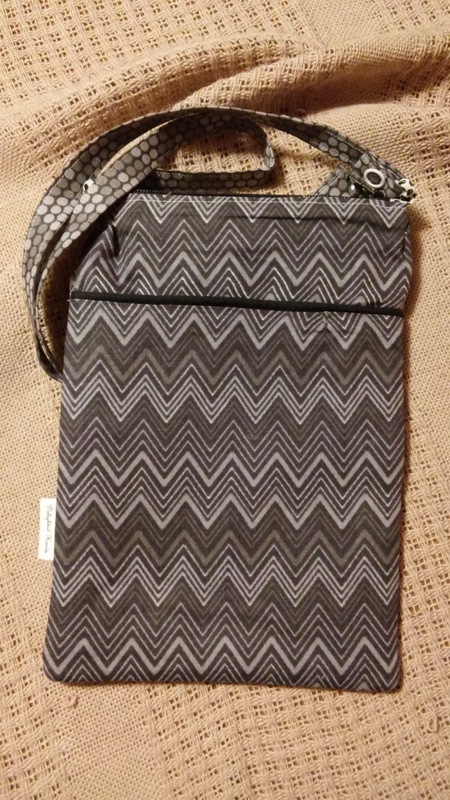 The fabric is from a Danish Co that only sells directly to shop owners. I'm not beaten yet! 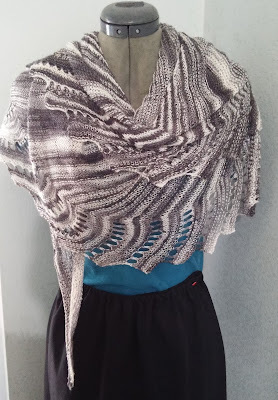 Meanwhile, I finished the cormo Nurlimintu shawl...again! This time it is over six feet long at the bottom of the turquoise section. 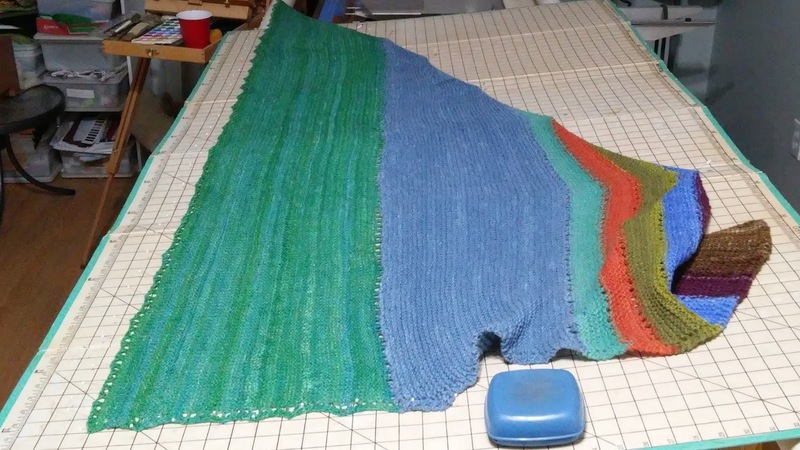 It will be plenty big enough to wrap around and be snuggly this time!